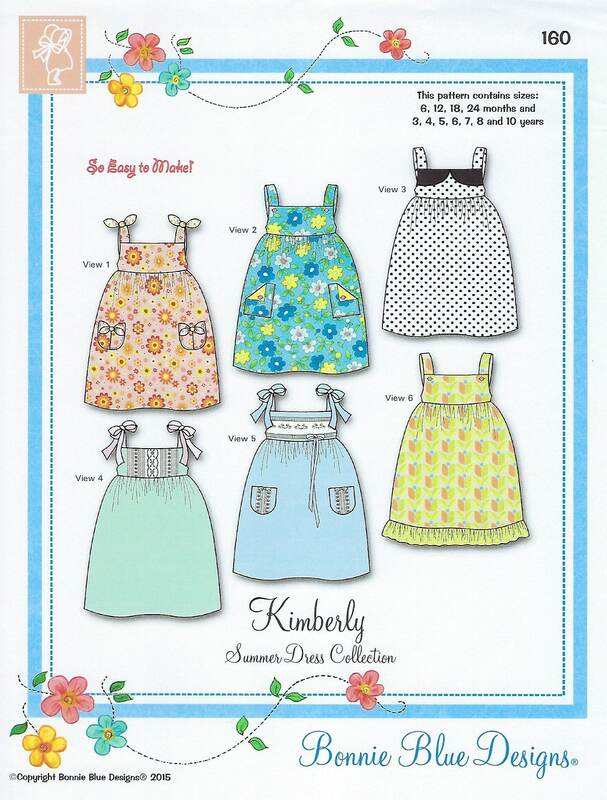 Package includes patterns and instructions to make Summer Dress Collection. View 1 - Has shoulder ties and pocket ties. View 2 - Has button straps and pockets. View 3 - Has front yoke collar with back buttoned straps. 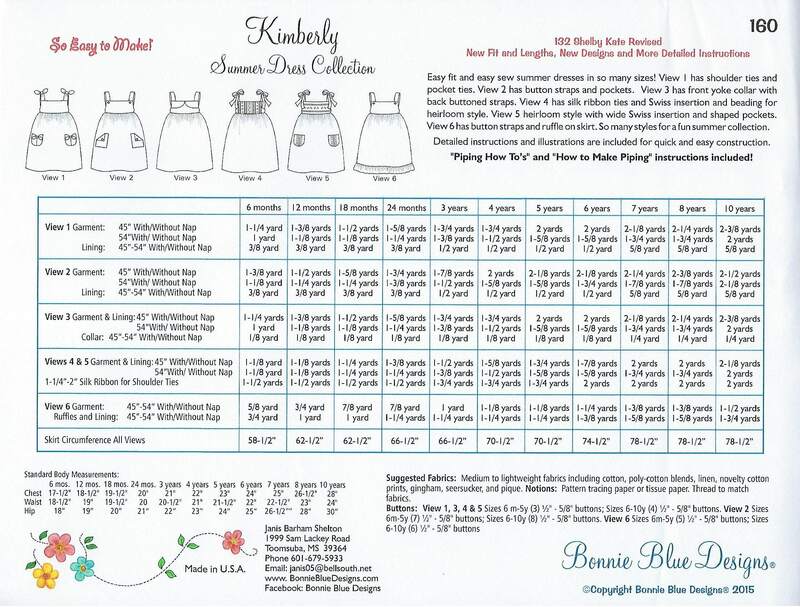 View 4 - Has silk ribbon ties and Swiss insertion and beading for heirloom style. View 5 - Heirloom style with wide Swiss insertion and shaped pockets. View 6 - Has button straps and ruffle on skirt. "Piping How To's" and "How to Make Piping" instructions included! 6 mo, 12 mo, 18 mo, 24 mo, 3 yr, 4 yr, 5 yr, 6 yr, 7 yr, 8 yr, 10 yr - All sizes included in one envelope.